Lawmakers gave first-round approval March 22 to a bill that would provide grant funds to communities looking to address workforce housing shortages. Under LB518, introduced by Gothenburg Sen. Matt Williams, rural communities in counties of fewer than 100,000 people could apply for grant funds to build workforce housing. The grants would be funded by a one-time transfer of $12 million from the Affordable Housing Trust Fund by July 1, 2017, followed by a transfer of $1 million in both 2018 and 2019. Williams said the state enjoys a nationally recognized business climate, low rates of unemployment and a high quality of life. Despite having a high number of job vacancies, recruiting potential employees to rural Nebraska often is thwarted by a lack of affordable, quality housing, he said. A Business and Labor Committee amendment, adopted 37-0, replaced the bill. It defined workforce housing as an owner-occupied home that costs no more than $275,000 to construct or a rental housing unit that cost no more than $200,000 to construct. Grants would be available to nonprofit development organizations in eligible communities. The maximum amount awarded could not exceed $1 million to any one organization over a two-year period and no more than $2 million through fiscal year 2020-21. Eligible applicants would provide one-to-one matching funds to be considered for a grant. Priority would be given to communities that have demonstrated an ongoing need for housing through a housing study, a low unemployment rate, difficulty filling vacancies, a demonstrated commitment to growing their housing markets and potential projects that could be ready for occupancy within two years. The amended bill would create the Rural Workforce Investment Fund, which would be funded by a one-time transfer of $10 million from the Affordable Housing Trust Fund, a reduction of $2 million from the original bill’s proposed $12 million transfer. Lincoln Sen. Kate Bolz introduced an amendment to further reduce the one-time transfer to $7 million. She said a number of projects that would have been funded by Affordable Housing Trust Fund grants were declined due to a lack of available funds. “This amendment recognizes that some of the dollars that are contemplated in LB518 should reasonably be sent back to the Affordable Housing Trust Fund to recognize there were unfunded projects,” she said. 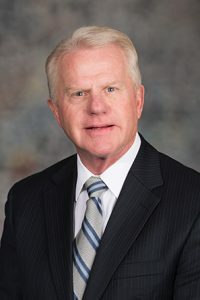 Columbus Sen. Paul Schumacher supported the bill, but said the state must take a more proactive, creative approach to addressing workforce shortages in the future. 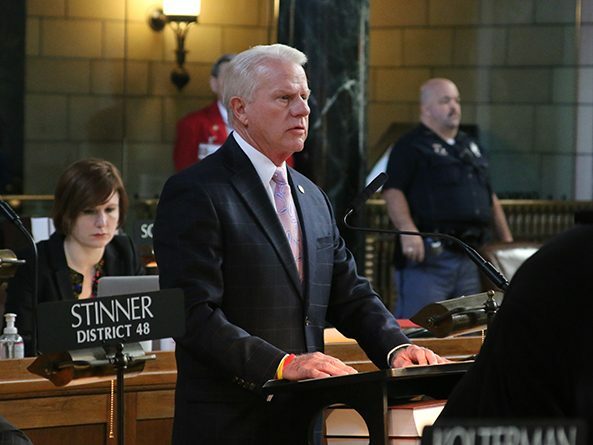 “Overall, the success of rural Nebraska — and maybe also the success of Nebraska as a whole — is going to depend on a lot more creativity and acceptance of the future than what we’ve been doing so far,” he said. Following the 38-0 adoption of the Bolz amendment, senators advanced the bill to select file on a 41-0 vote.